The road from Phnom Penh to the Killing Fields: a normal road with the regular traffic chaos, roadside shops and little foodstalls. But driving towards the Fields I found myself starting to feel uncomfortable. 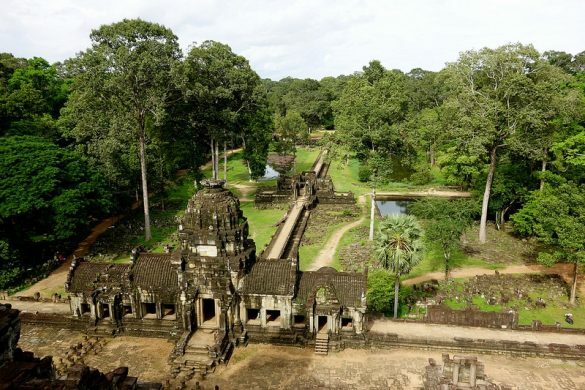 It is extremely weird to realize that only very recently Cambodia suffered from a murderous regime. 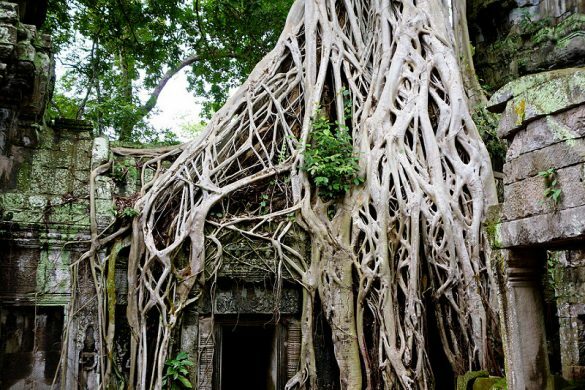 On the list of 20th century horrors, Cambodia ranks high. Pol Pot and his Khmer Rouge regime subjected Cambodia to become the realization of his communist dream: a purely agrarian-based society. 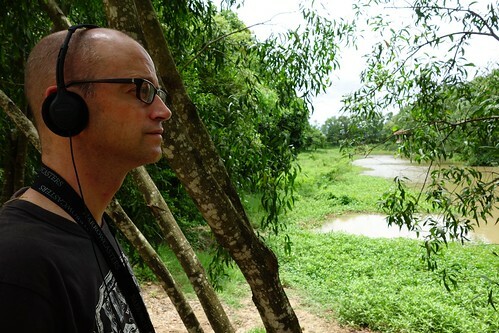 He controlled how Cambodians acted, what they wore and who they talked to. Anyone with the slightest sign of intellect was seen as a threat to him. Being a doctor, a teacher or just someone wearing glasses was enough to be suspected as a traitor. 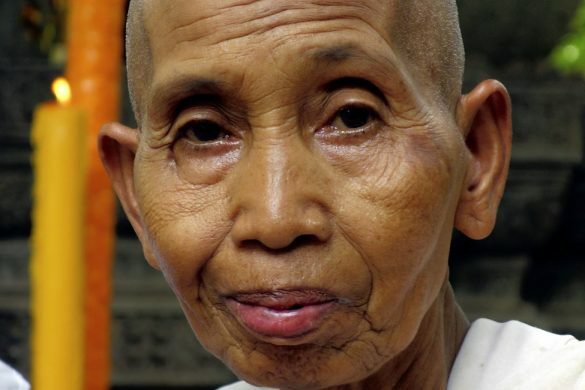 And being killed… Between 1 and 2 million Cambodian people during this terrible regime. 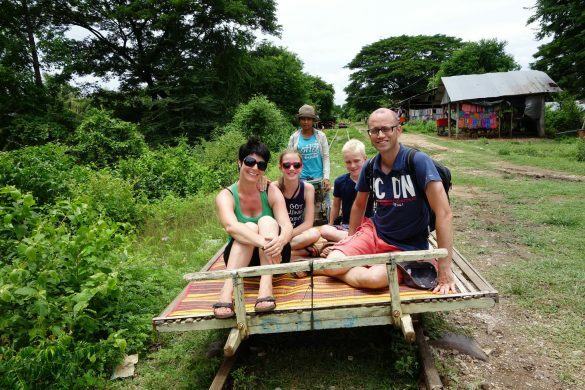 After 40 minutes (15km) your TukTuk will turn left and you will soon arrive at the Killing Fields site. A site you have surely heard or read about. We were a bit nervous. Is the story of the Killing Fields not too horrifying for our kids? Are they old enough to handle this? You buy your tickets. Everything still looks normal: TukTuks waiting for customers and little shops selling the much needed bottles of water and cans of Coca-Cola. Maybe some Pringles for along the way? All changes when you switch on the audio guide and start listening to the explanation and the dreadful stories of survivors. 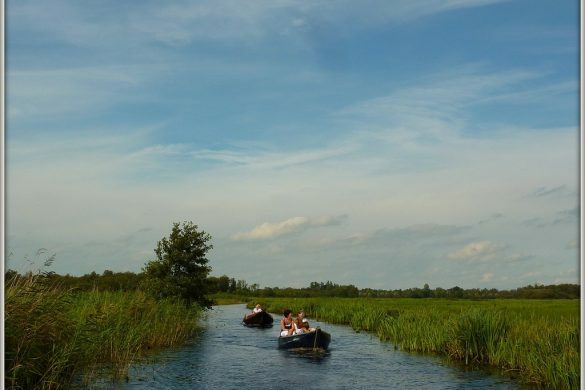 Welcome to the Killing Fields…. 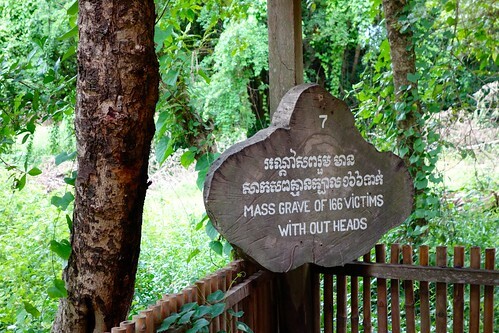 All visitors of the Killing Fields are silent. It is a meaningful silence. A silence showing respect to the tens of thousands of people who have lost their lives here. 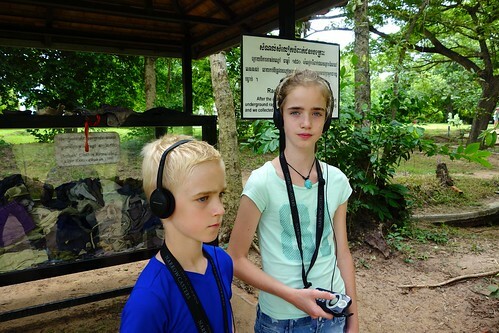 Visitors are provided with an audio guide (available in many languages, even in Dutch) containing explanations of the various parts of the Killing Fields: the truck stop, the storage of weapons, the office of the executioners and the cruel mass graves. The guide also offers stories told by survivors: how trucks with exhausted, innocent people arrived in the middle of the night or how families were separated to never see each other again. It even contains an example of the music that was played to hide the screams of dying people. I look around to watch people. How in the world could ordinary people transform into monsters that kill people in a blink of the eye? This is a story that needs to be told and I encourage you to scroll down and look at the pictures. 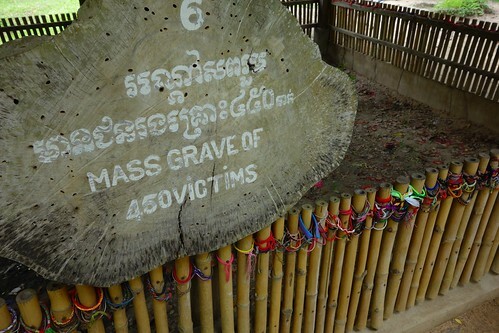 One of the many mass graves. 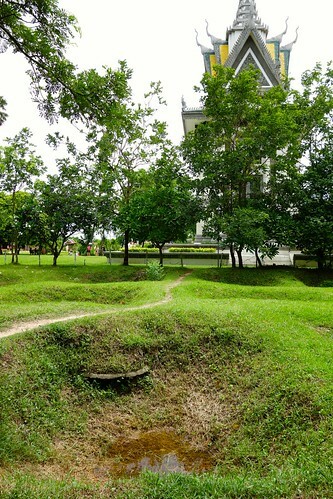 In total more than 20,000 Cambodians were killed at this particular Killing Field called Choeung Ek. 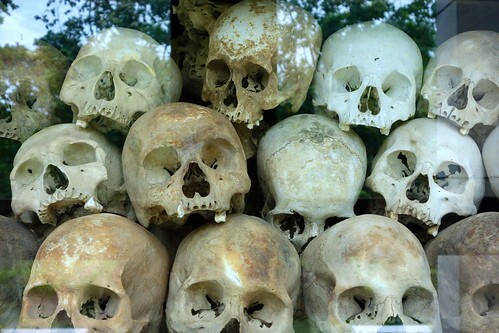 Choeung Ek is one of more than 300 killing fields found throughout Cambodia…. 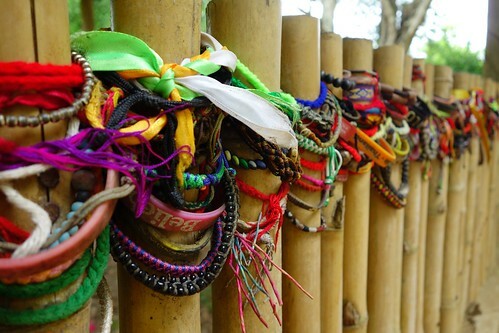 Bracelets left to pay respect to the people who died at the Fields. 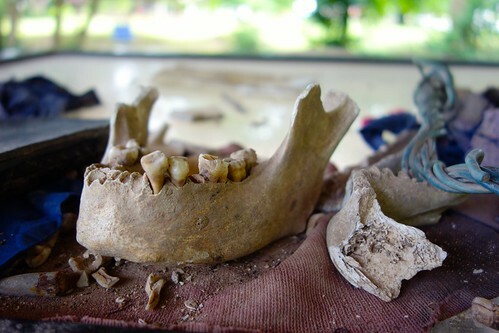 After heavy rains, human bones and victim’s clothes are still unearthed. 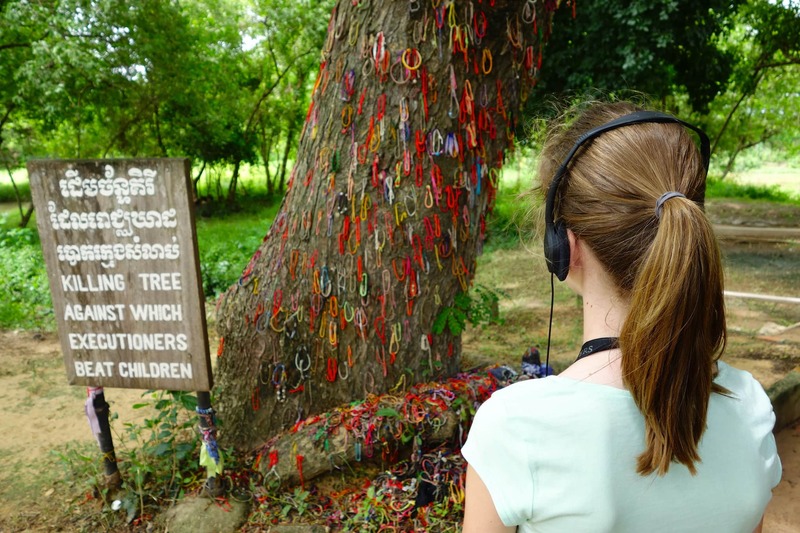 The audio guide not only explains about the Fields, but also offers stories of survivors and even confessions by the chief of the Killing Fields, Duch. One of the most terrifying places. In order to save on bullets axes, knives and bamboo sticks were used to hack people to death. Little children and babies were smashed against a tree. This tree. Inside the Memorial Stupa you can find thousands of skulls that were taken from the mass graves. 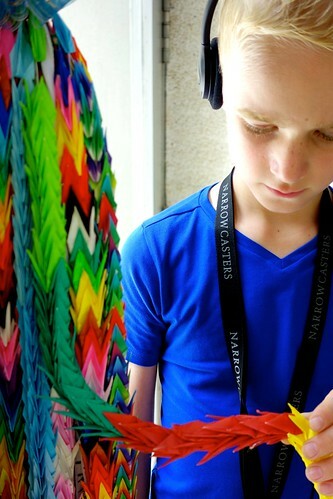 The origami cranes are the symbol of peace. Let’s never forget. The sight of all these skulls in a glass shrine is almost surreal. 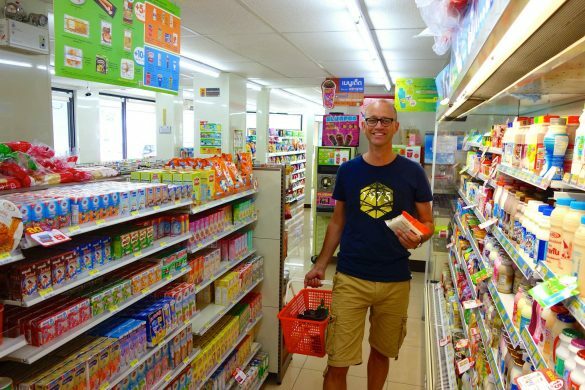 Should you visit with kids? You have to make your own decision. Children from the age of 9 or 10 can very well handle difficult parts of our worlds history, although not every child is the same. Our son was quite impressed, where during the week after our visit he continued asking questions about Pol Pot and his regime (“Why could this man have ever gained power??”). One important remark. The audio guide does contain horrific parts where it is explained how people (including children and babies) were being killed. Consider to agree with your kids that you start the audio guide 2 minutes before they do. Whenever you hear a story unsuitable for your kids, you can still take action. 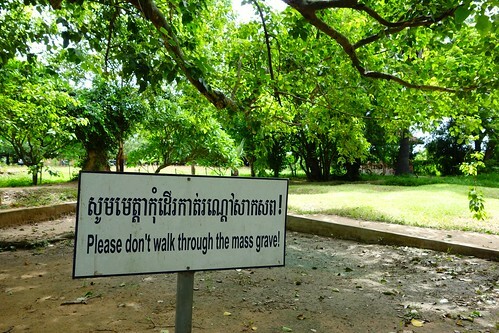 How to get to the Killing Fields? Every TukTuk driver in Phnom Penh can bring you to the Killing Fields. They will wait for you and bring you back to the city. The visit will take you at least two hours. I wanted to thank you for sharing this information and in particular your tip regarding the audio tour. 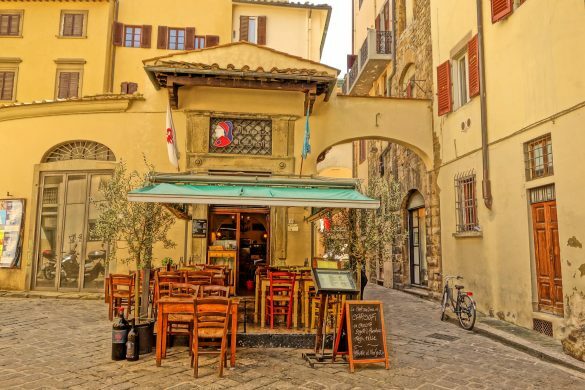 Your post was helpful for us as we were deciding whether to take our children here this week – I am currently writing up our experience and am linking back to your article in it. Many thanks! Thanks for your comment and happy to know this tip worked for you. Cambodia has been a very memorable trip. I will now go and read your post! 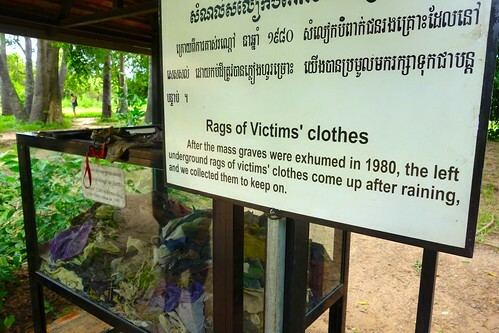 My friends told me about the Killing Fields in Cambodia… It’s utterly terrifying that so many countries and cultures have gruesome mass genocides in their histories, especially those that are most recent. And in this case – targeting those that showed any intellect! Horrifying. I always ask myself a similar question your son has asked, about how certain abusers of power/extremists even come to power! How can so many people let one crazy person take the lead in such an awful, awful way? I think it’s great that you took your children, I think I would take my (future) kids as well. It’s a learning experience, and very important that they know the different and realistic aspects of a country’s culture and history. I also like the idea of starting the audio 2 minutes before your children, just in case it is too much for them to absorb, especially if they’re younger. Hello Michelle, great comment. Most of the times the people have no idea what these leaders have in mind. They are elected with promises to create a better country. Maybe its the power they have gained that drives them crazy after a while. The unlimited freedom to do what you want because you are the boss. This is one of the places I want to learn more about before we visit. It reminds me of Kanchanaburi and the museum about the death railway, the stories are harrowing and it’s unimaginable what has happened in these places. Andrew, I think this horrible recent history of Cambodia is indeed something you want to learn more about before you visit the country. It helps so much in understanding the culture. Emiel, what an impressive article. I remember having seen the film, one the films that made an everlasting impression on me. Thank you for sharing this with us. Thank you. I remember bits and pieces of that film, and we told each other we are going to watch it again soon. Thank you so much for this post. 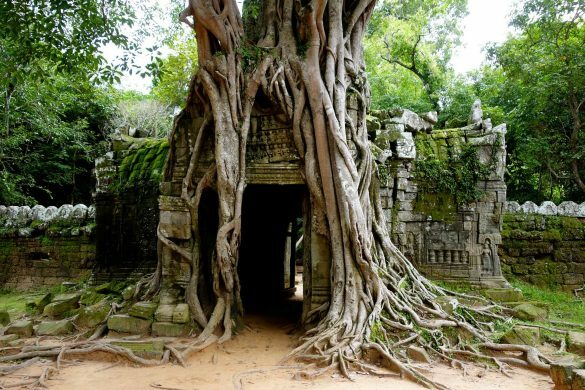 We’re headed to Cambodia this year, and I cannot decide whether to take my children here. I think it’s important for them to eventually learn about the atrocities that go on in our modern world history, but I definitely don’t want them traumatized. I’ve read other posts from people who visited The Killing Fields, but you are the first that I’ve read who has taken her kids. I really like your advice about listening ahead on the audioguide. Hello Michele, great you will be heading to Cambodia later this year! 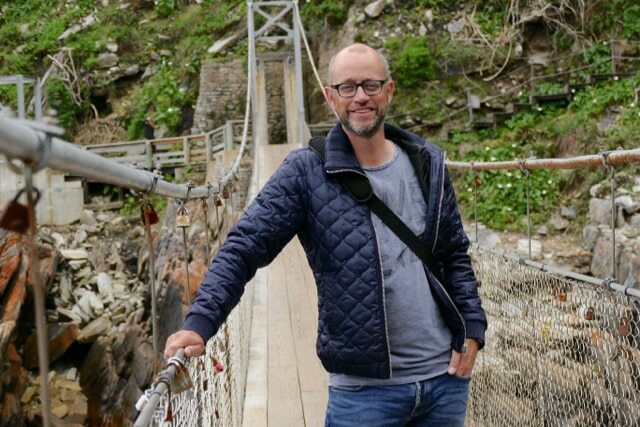 Such a beautiful country and its people are very friendly and accessible. Their recent history is indeed terrible, but the people are very much looking forward to their future….and willing to share it. Great post! Very meaningful. 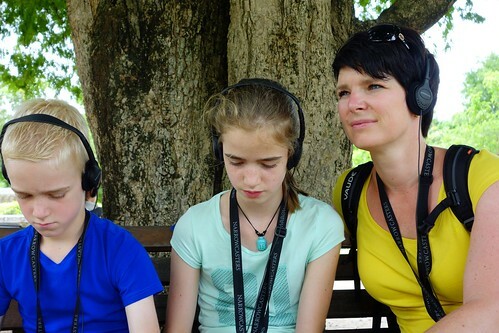 We took our children to a concentration camp in Germany. The 12 year old handled it OK, the 8 year old needed to leave after 20 minutes. We think it was a good experience and would bring them again. Thanks. Emiel, you have done a wonderful job to capture this horrific moment in history while showing complete respect. Your photos are both beautiful and respectful. Starting the audio two minutes before the children is a great idea. 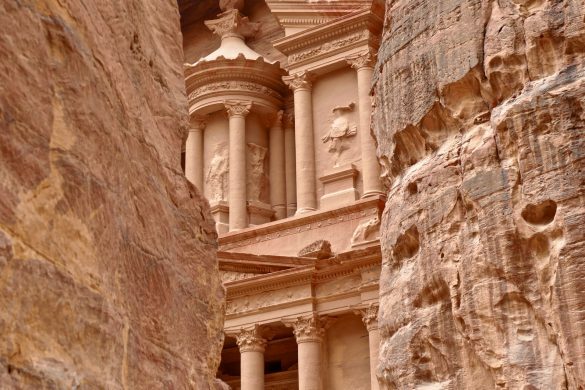 It is my idea that when taking your children to see such places in person that they learn of the real history. Certainly, depending on the child, they do not need every detail- but, seeing the reality will only help them grow into more conscience and globally aware citizens. You and Annemarie are doing a beautiful job in raising two amazing children. Bravi. Wow, this give me the chills. Thanks for the tips about the kids, ours are about the same age as yours. Alan and I visited Dachau concentration camp many years ago and I couldn’t help but cry. These are horrible things that have happened, but can’t just look the other way and pretend. Thanks for sharing.